Ivo Dominguez, Jr. is well-known and highly respected in the pagan and Wiccan communities. He’s a founding member of Keepers of the Holly Chalice coven and an elder of the Assembly of the Sacred Wheel, a Wiccan tradition that syncretizes astrology, the Qabalah, and Western ceremonial magic. Dominguez is the author of several lauded texts– Practical Astrology for Witches and Pagans, Spirit Speak: Knowing and Understanding Spirit Guides, Ancestors, Ghosts, Angels, and the Divine, and Casting Sacred Space: The Core of All Magickal Work. His latest book is Keys to Perception: A Practical Guide to Psychic Development. In Keys, Dominguez begins by stressing the importance of meditation to strengthen the power and acuity of the mind. A regular practice in meditation is the cornerstone of psychic perception. If sitting meditation is difficult for you, he suggests forms of walking meditation, tai chi, or qi gong, etc. As with any workout, psychic development courses not excepted, you have to warm up first. There are two key methods that Dominguez recommends. The first is the recitation of IAO (Eeeee-Ahhh-Ohhh), intonations associated with Hermes, Iacchus, and the Phoenician god of light, and the intonation of the name of God, per Gnostic Christians. The second is Samavritti, a yogic method of four-fold breathing where you concentrate on breath in four steps: inhaling, feeling your lungs full, exhaling, and feeling your lungs empty. 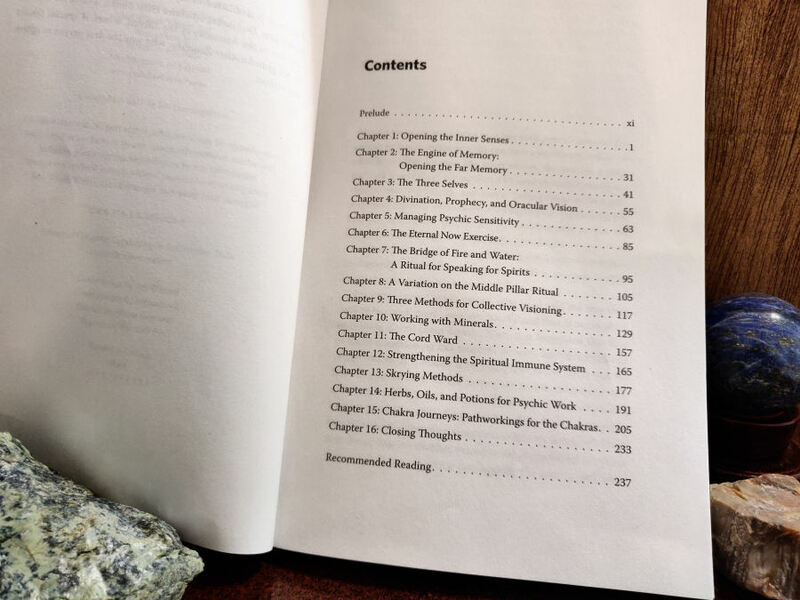 Keys to Perception is a tantalizing portfolio of psychic development exercises, which are practical, impactful, and organized into one accessible compilation in a way few psychic development books preceding this one has managed to do. 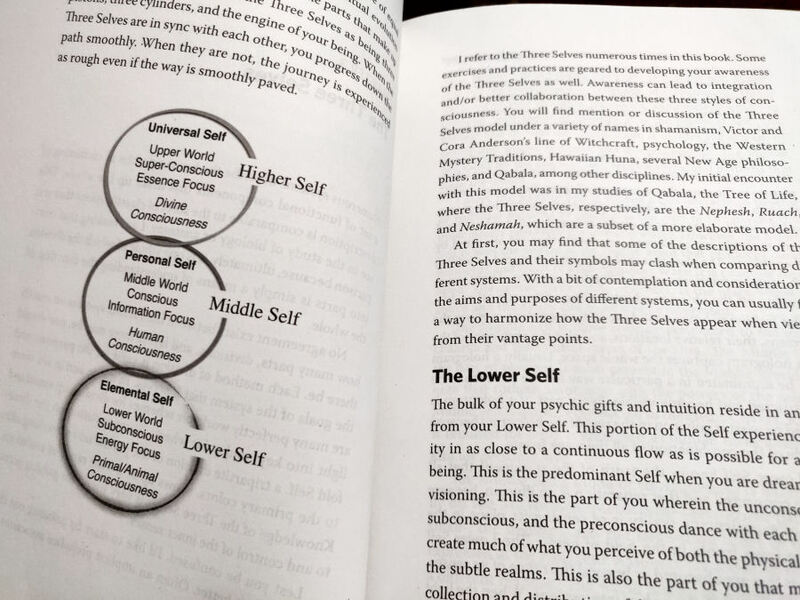 Dominguez explains how there are three modalities of the Self– the Lower Self (elemental self, subconscious, and primal consciousness), the Middle Self (conscious mind and information focus), and the Higher Self (your divine consciousness). Psychic ability resides in the Lower Self while the Middle Self is your waking consciousness, reasoning abilities, and the voice of your thoughts. The Higher Self, then, is your connection to the divine, and your Divine Inner Spark. Psychic ability itself is subdivided into clairs and noirs. Clairs are the psychic senses attuned to the light, or to clear perception; noirs, a term Dominguez as coined, refer to automatic writing, pendulum divination, and the psychic work associated with the Lower Self. Psychic ability is then exercised through three vehicles: divination, prophecy, and oracular vision, which Dominguez devotes time to explaining each in turn. All three vehicles– divination, prophecy, and oracular vision– require the engagement of your three Selves. During psychic development, be mindful of overload. 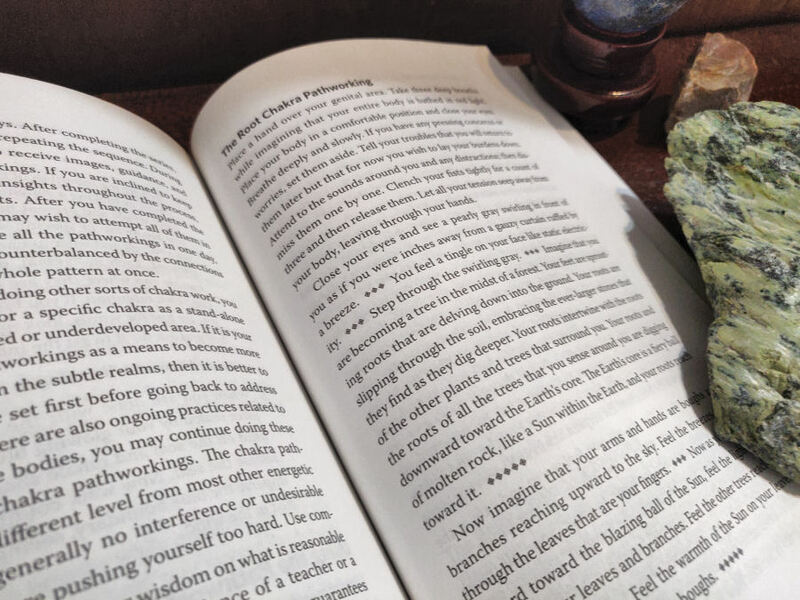 The author offers grounding and centering exercises for helping you manage your energy, strongly urging those who engage in psychic work to also regularly engage in grounding and centering practices. Over a dozen pages of exercises follow to instruct on grounding and centering. A simple yet effective one, for instance, is to create a mirror shield. Visualize the outer layers of your aura becoming highly reflective so that anything that comes in contact with it is immediately deflected back out, “like light from a mirror,” Dominguez writes. The mirror shield protects your thoughts, making it harder for other psychics to read your thoughts and feelings. The more metallic and opaque you visualize the reflection of your aura’s outer rim, the stronger your mirror shield is and the harder it is to read you or for another to try to unduly siphon your personal energies. Dominguez devotes a full, comprehensive chapter to teaching you the Invocation of the Eternal Now, an exercise he has developed for spiritual refinement and for joining your Three Selves. 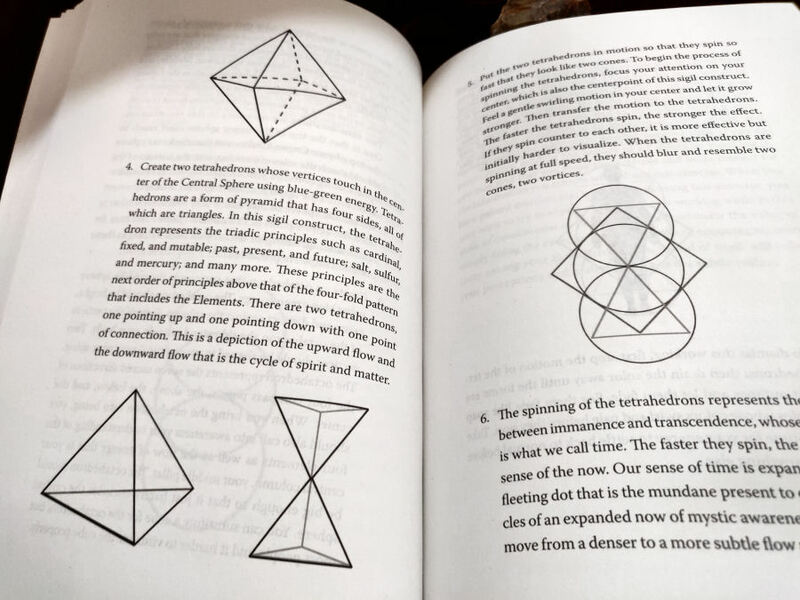 The exercise is a form of creative visualization that works with the architecture of sacred geometry. 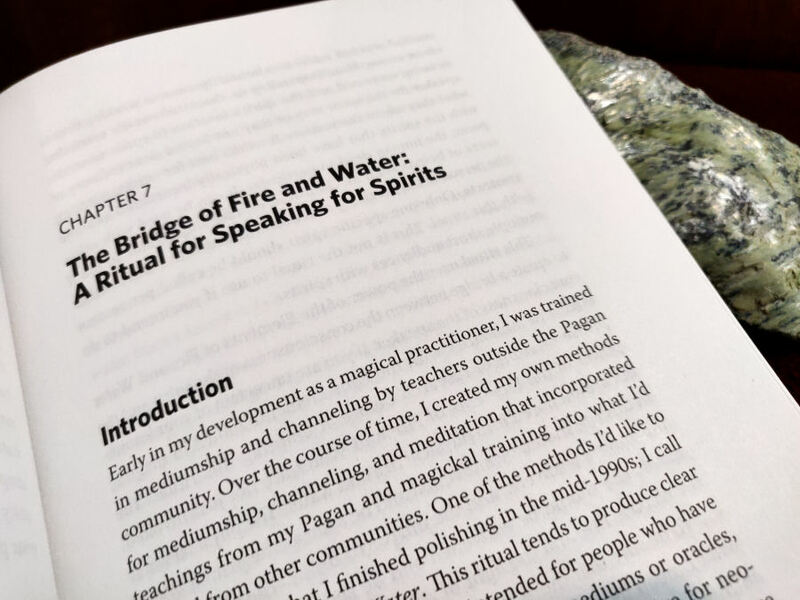 An impressive script of ritual magic is also shared in this text, a ritual Dominguez himself developed called Bridge of Fire and Water, which opens you up as a channel to speak and engage with spirits. He goes through the tools that you’ll need, the ritual setup, provides the word for word incantations, and describes in easy to understand detail every step of the full ritual, beginning to end. That along with so many other ceremonial practices, such as addressing the Middle Pillar Ritual and even group work propel Keys to Perception as an authoritative text that is densely packed with useful insights that you can implement straight away. 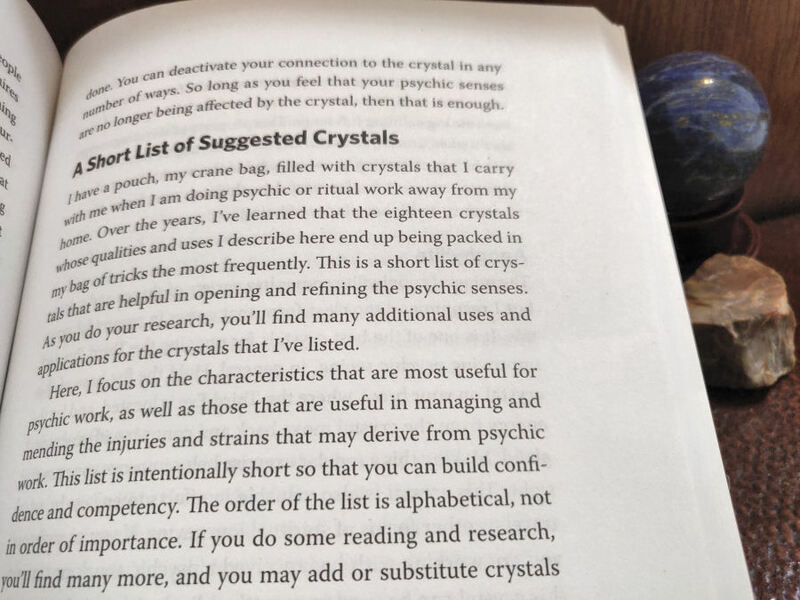 There’s a chapter on working with gemstones and crystals for psychic development, and how to program and empower a crystal. He shares instructions on how to craft a cord wand where cord made of a natural fiber is tied into a loop, soaked in a consecrated water and anointing oil, empowered through ritual magic, and then kept on hand any time you need to use it to enclose and protect a particular space. 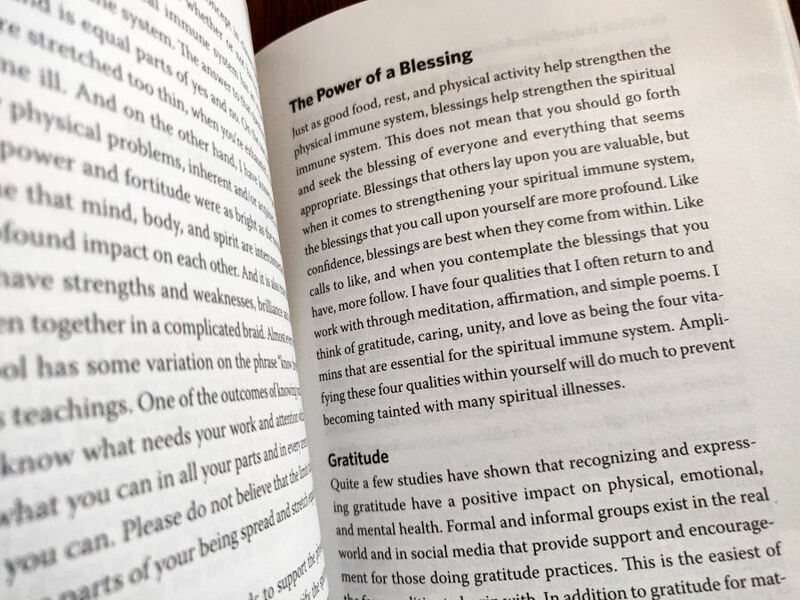 He also covers techniques for strengthening your spiritual immune system, such as engaging with the power of blessings or gratitude. I was also impressed with his coverage of Chinese acupressure points. Scrying, how to scry into different mediums, using herbs, oils, and potions are also covered in this psychic’s handbook, with really amazing incense recipes, anointing oil recipes, and simple potions (a psychic opener tea recipe is shared, one consisting of bay leaf, cardamom, damiana, green tea, mugwort, peppermint, rosemary, and saffron). 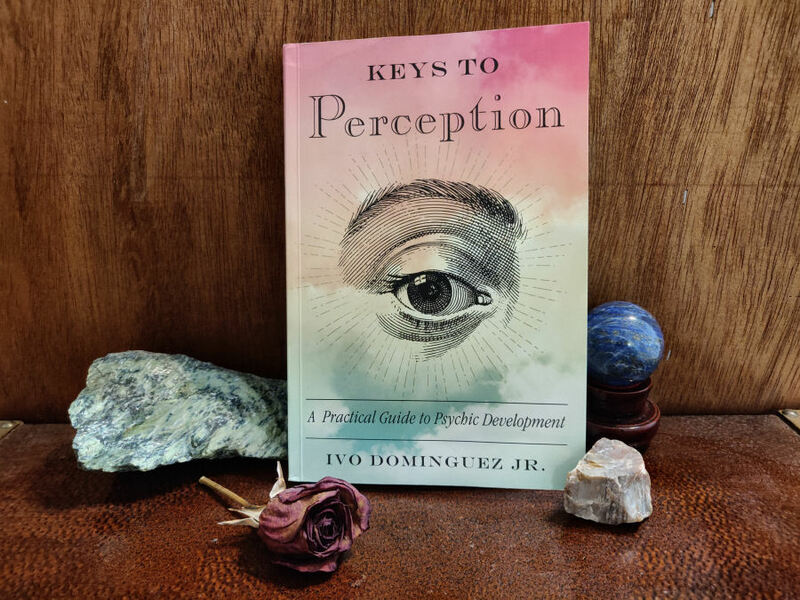 Keys to Perception: A Practical Guide to Psychic Development by Ivo Dominguez, Jr. and published by Red Wheel Weiser is a wonderful handbook for anyone endeavoring into the practices of psychic development. It offers step by step instruction on a few different modalities of ritual magic and arms the reader with a multifaceted and comprehensive regimen of practices. 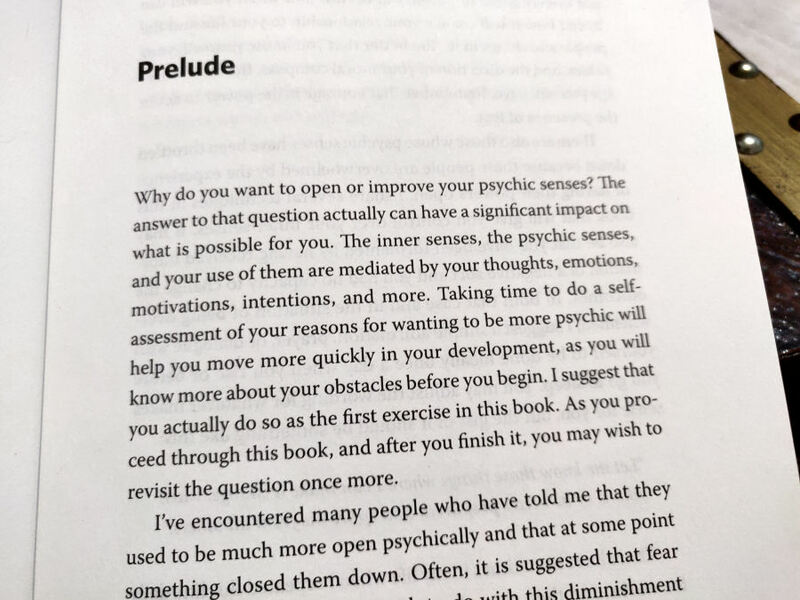 Keys is certainly one of the better texts on psychic development out on the market at the moment and worth your while to acquire for your personal library. 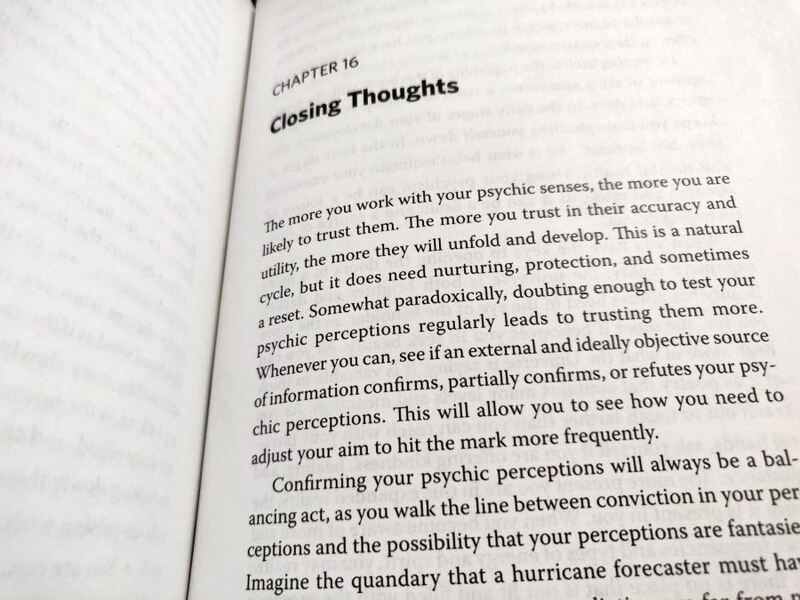 FTC Disclosure: In accordance with Title 16 of the U.S. Code of Federal Regulations Part 255, “Guides Concerning Use of Endorsements and Testimonials in Advertising,” I received Keys to Perception: A Practical Guide to Psychic Development from the publisher for prospective review. Everything I’ve said here is sincere and accurately reflects my opinion of the book.